A woman who endured the heartbreak of finding out she was born without a uterus has become the first mum in the world to give birth with a transplanted womb. And the pioneering fertility breakthrough has given hope to thousands of other couples around the world. The Swedish mum, 36, was among nine women who received a womb transplant last year. Hers was donated by a close family friend, who at age 61 had two of her own children, had been through menopause and didn’t need her uterus any more. Her son was born healthy but premature via a C-section last month, after she developed pre-eclampsia at 31 weeks. 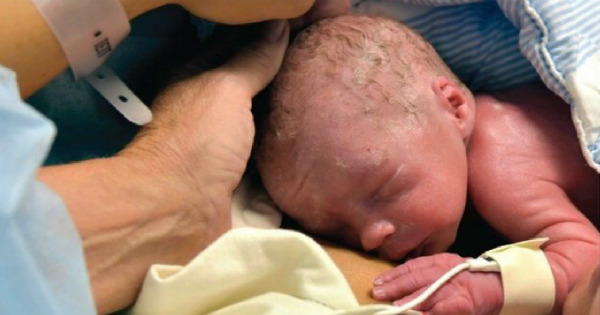 He weighed 1.77kg – normal for that stage of pregnancy. The baby’s father says it has been a “tough journey” for the couple. “But we now have the most amazing baby. He is very, very cute, and he doesn’t even scream, he just murmurs,” he says. The mother, a competitive athlete, was born without a uterus but with perfectly healthy ovaries. About six weeks after the transplant she started menstruating, and doctors felt confident she could try a pregnancy a year after the surgery. They used IVF to implant an embryo created from the woman’s egg and her husband’s sperm. She had to take three medicines to stop her body rejecting the organ, including one during pregnancy. Some experts had questioned whether a transplanted womb would be able to nourish a fetus, but blood flow to the baby, and his growth, were normal throughout the pregnancy. Dr Brannstrom says he was surprised an older uterus worked so well, but the most important factor seemed to be that it was healthy. The breakthrough may give hope to thousands of women who are unable to have children because they were born without a uterus, or lost it to illness. Dr Brannstrom has begun implanting embryos into seven other women – and two are already at least 25 weeks into their pregnancies. But the procedure is not without its critics – some obstetricians have questioned the ethics of taking wombs from live donors for a non-lifesaving purpose, while others have warned it carries significant risks to both mother and donor. Two of the women given transplants last year have already had to have them removed because of complications.